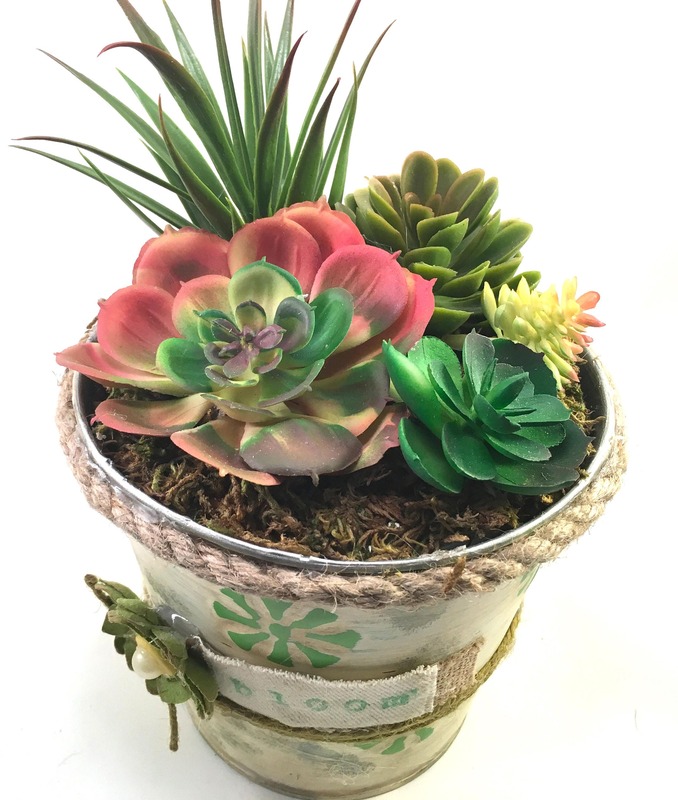 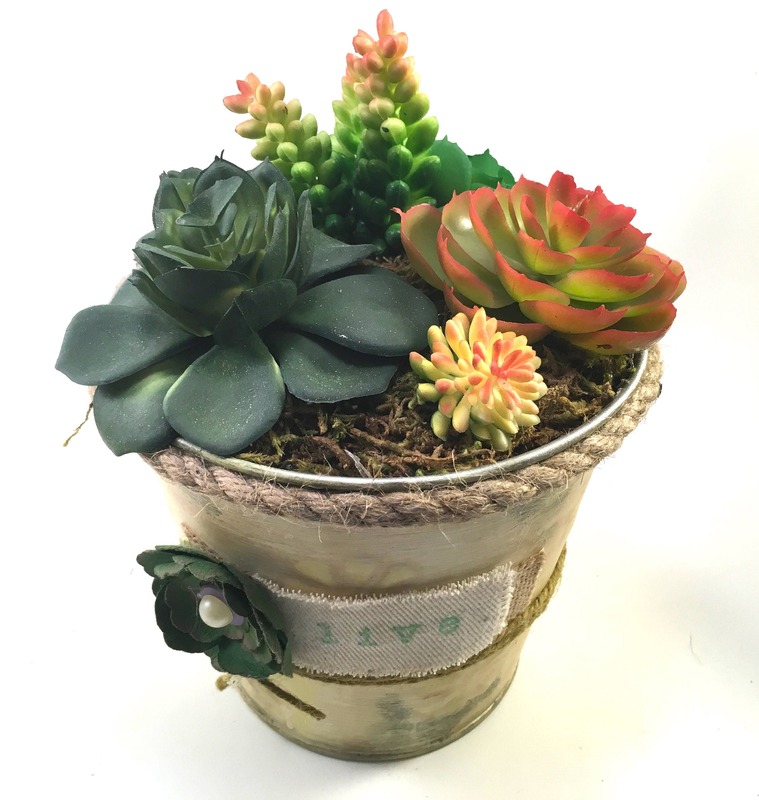 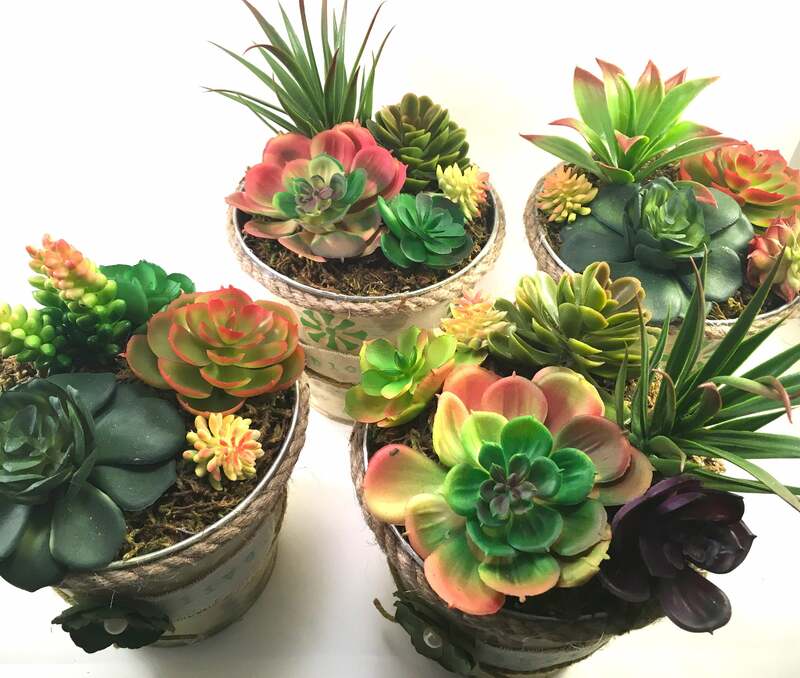 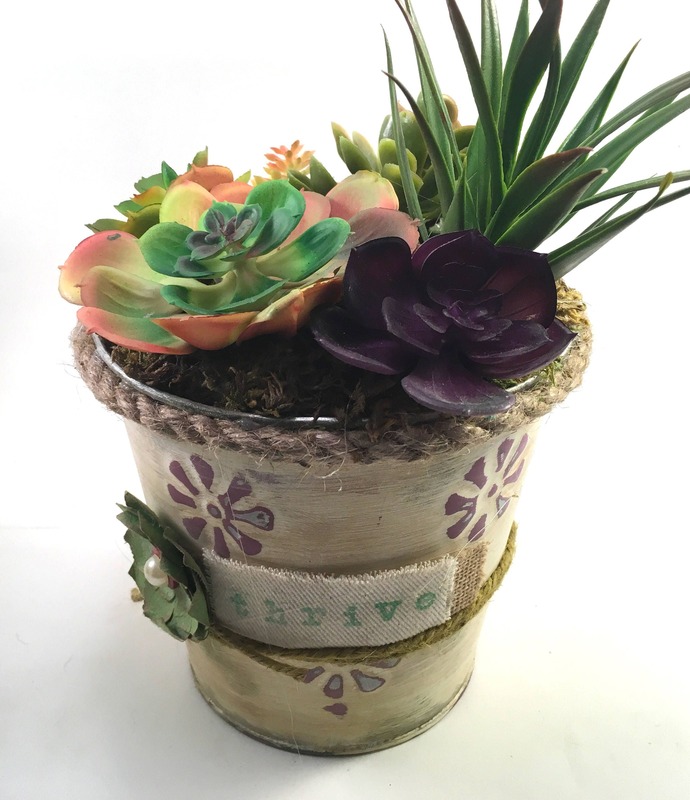 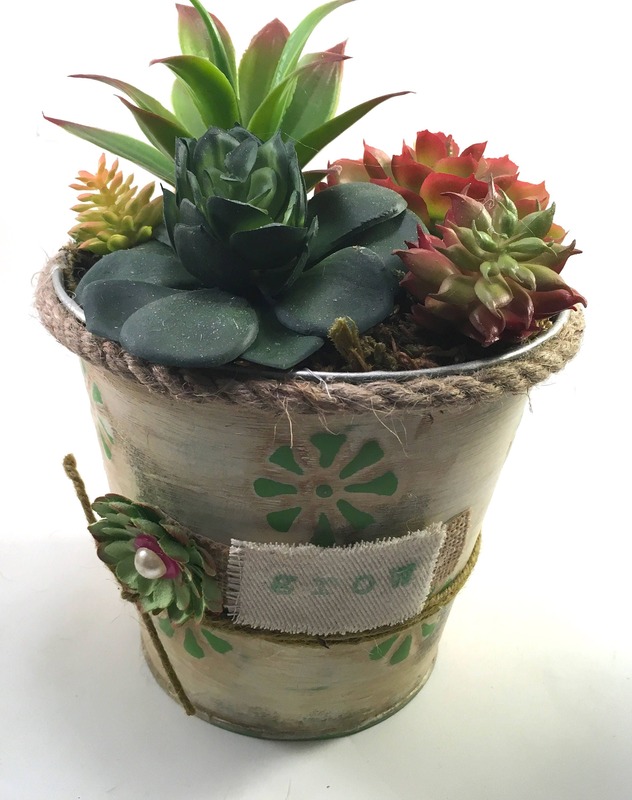 This is a choice of 1 of 4 faux succulent plant arrangements. 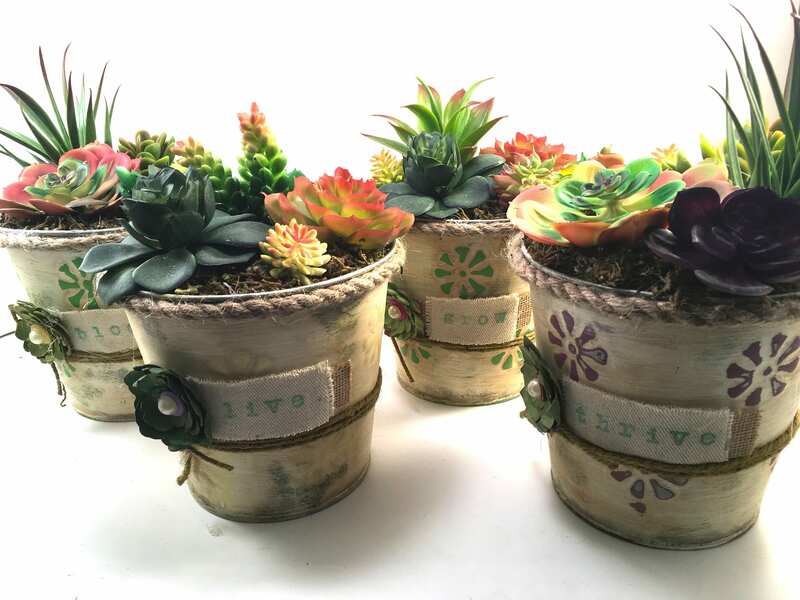 Each has 5 - 6 plantings. 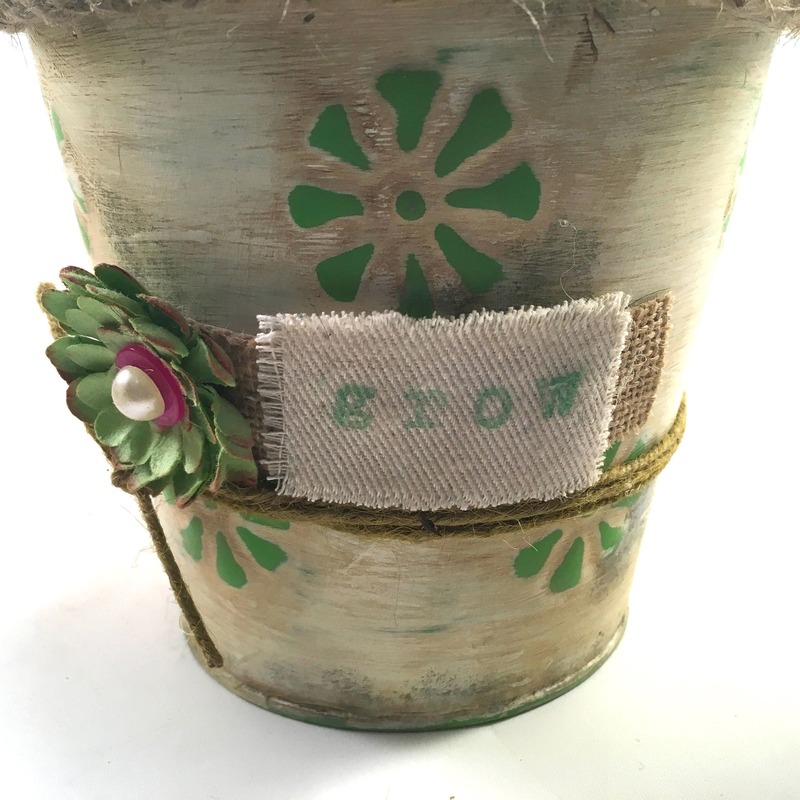 The containers are tin painted with chalk paint and distressed to reveal to surface texture of stylistic flowers. 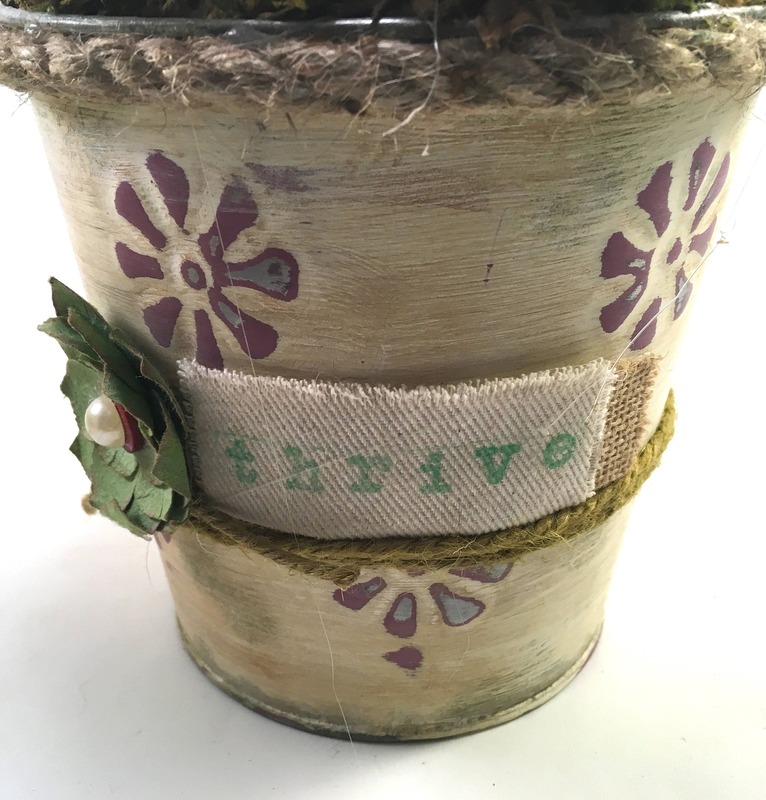 Hemp rope and twine encircle the planter. 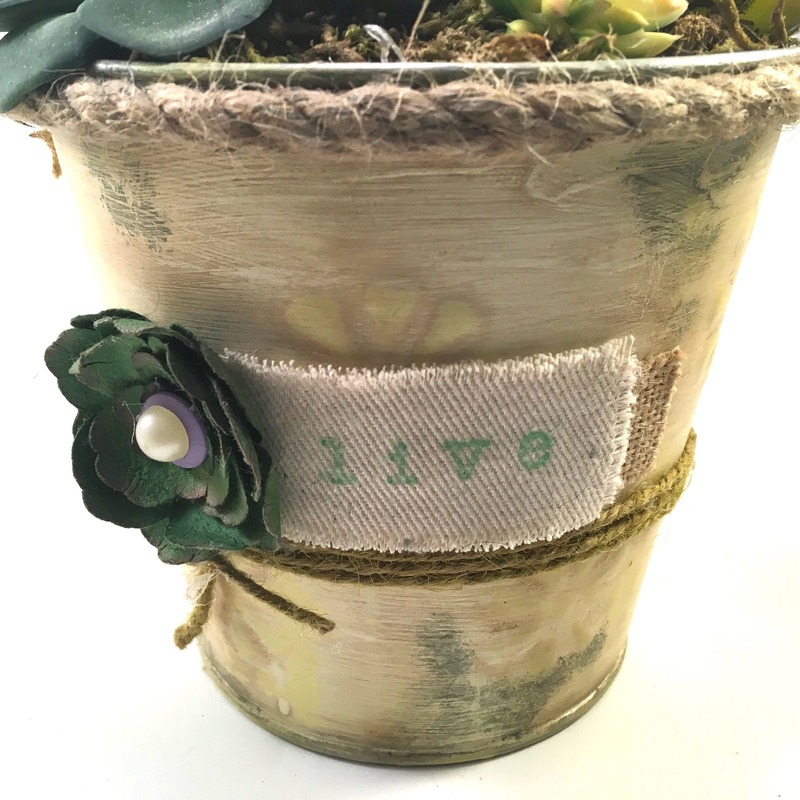 Paper succulent, burlap and stamped canvas details round out the design. 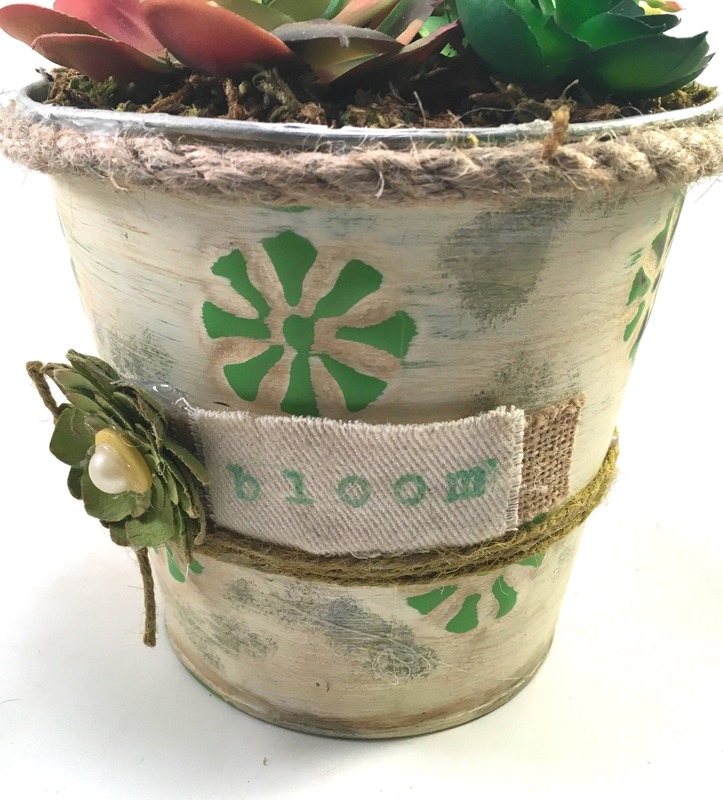 Stamped typography includes 'bloom', 'thrive', 'live', and 'grow' in green ink.